Terrence Malick’s The Tree of Life: A Visually Splendid, Deeply Philosophical AND Christian film. I loved Terrence Malick’s The Tree of Life. It’s the only film that I’ve watched, dazzled—and then immediately watched again. 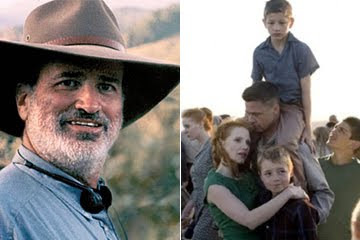 Terrence Malick, the auteur–who studied Philosophy at Harvard; was a Rhodes Scholar at Magdalen College, Oxford translated Heidegger; taught philosopher at MIT; wrote for the New Yorker; and directed six visionary films–is a modern America genius, apparently as immersed in philosophy as in the Bible. The Tree of Life is a modern Book of Job, an exploration of why bad things happen to good people, a Miltonic attempt to justify the ways of God to man–and probably the most theological film I’ve seen. The film explores dualistic ways to live—selfishness and love; “nature” and “grace,” or theologically, as a son of God, entitled to all the goodness of his household, or an orphan who must scavenge, scheme and grab. Mrs O’Brien, an ethereal woman,(a luminous Jessica Chastain) opens the film with a close quotation from the Imitation of Christ contrasting the way of nature and the way of love and grace. 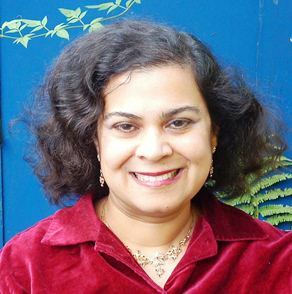 “We have to choose which we will follow.” The way of “nature” or unredeemed man “finds reasons to be unhappy when all the world is shining around it, and love is smiling through all things.” “The nuns taught us that no one who loves the way of grace ever comes to a bad end,” her opening monologue concludes. This belief is instantly challenged through the death of her youngest son, R.L. who represents the way of grace and goodness, in contrast to his conflicted elder brother Jack, who is singled out for his father’s bullying. R. L., for instance, in a pregnant wordless scene, gently and beautifully forgives Jack, who shot him with a BB gun. “I do not do the good I want, but I do the very thing I hate,” Jack explains in one of the Biblical riffs from Job, or Psalms or Romans which punctuate the film. The Tree of Life is the story of a mismatched couple, Mrs O’Brien, committed to love, grace and gentleness, and the unpleasant, extremely hardworking Mr. O’Brien (Brad Pitt), who gave up his dream of being a musician to become an engineer, but who is dogged by failure: none of his 21 patents he filed for while moonlighting make money; his business schemes fail. Such a life makes for bitterness, and bitter he is—especially against anyone who has money or success. Men frustrated at work can be splenetic at home, and so he is. In this little sphere in which he can maintain control, he does—a slammed door has to be reclosed quietly 50 times. Jack, his elder son is upbraided for grass which does not grow in dense shade. Jack must spend his evening turning the pages while Dad plays Brahms. Unsurprisingly, Jack grows up hating his father, praying for his death, sorely tempted to bring it about! The Tree of Life deflates the American dream which works for some, does not for most, and for pretty much everyone is simply not worth it. It misses the joy and glory of life in the struggle to get ahead in a race which doesn’t matter. “What are we to you?” the grieving mother asks at the start of the film when a telegram announces the death of her son. “Do you even care what happens to us?” This is the central question of the film. When Job questions God, God silences him with his questions, one of which is the epigraph of The Tree of Life. And God’s “show-don’t-tell” answer in the film, as in the Book of Job is a stunning peacock-display of the wonders of creation. Like the ways of God. Fittingly, a sermon from Job provides a lengthy voice-over. The film’s title refers to Darwin’s Tree of Life, of course, to a relentless, but mainly benevolent and beautiful evolution, not accomplished without tears. In a surreal sequence, a dinosaur dispassionately places his mighty paw on a wounded dinosaur’s neck—and then darts off. A meteor eliminates them all. R.L. dies. The ways of God transcend our understanding. The Tree of Life is a cinematic Ulysses, ethereal, beautiful, bewildering, using a Joycean stream of consciousness, interior monologues, or whispered prayers, as a broken-hearted, now middle-aged Jack (Sean Penn) and his mother contend with God. I have never seen a movie in which the characters pray quite so much, except the sublime Des Hommes et Des Dieux, Of Gods and Men. “Mother, brother, it was they who led me to your door. You spoke to me though her. You spoke to me from the sky, the trees before I knew I loved you, believed in you,” Jack says. The film, a passionate dialogue with God, is reminiscent too of Augustine’s Confessions, also a love letter to God. The motifs in this allusory film are literary and Biblical, as well as autobiographical. Characters walk through a succession of open doors set in barren landscapes. There are Narnia-reminiscent lampposts. There are many motifs of transition—bridges, corridors–and ascent: elevators, stairways, ladders, domes, spirals. Venetian masks drift away as we will know fully as we are fully known. Oh and the landscapes!–Moab, Yellowstone, Iceland, Antarctica, Niagara, The Great Barrier Reef and its jellyfish: all the gorgeousness of the world compacted into one film. The Tree of Life is set in a Fifties America, in Waco, Texas, where Malick grew up, “idyllic” some reviewers say, but in which I am glad I did not live. Boys on the loose during the long summer vacation behave, unfortunately, like boys—frogs are let loose in rockets; bloodied dogs creep away; houses are vandalized and broken into; the crippled are mimicked. Neighbourhood boys follow trucks spraying DDT, dancing in the fumes. It’s a deeply autobiographical film. The gentle brother who plays guitar recalls Malick’s youngest brother Larry, who went to Spain to study with Andres Segovia, but frustrated with his lack of progress deliberately broke both his hands, and later committed suicide. The boy who dies in a burning house, and the scarred friend represent coded memories of Malick’s middle brother Chris, who was badly burned in a car accident which killed his wife and left him scarred for life. The lyrical final sequence takes place on the far shore of the world beyond ours. The middle-aged Jack, stumbles through a lunar landscape of weird rock formations and infinite oceans in which he is reconciled to all those he has loved, adored, contended with and lost—his beautiful mother and brothers, his hurt, baffled father, and even the lost angry boy he once was! On and on, he sleepwalks through open doors, and bridges, through a landscape a bit like a Greek underworld, through a wandering crowd of familiar people looking for and finding all they have loved and lost. His family discover each other, embrace ecstatically, and walk together through the sea, in “reconciliation, word over all, beautiful as the sky” as every tear is wiped away. And, in the background, glorious Gregorian chant: Sanctus, Sanctus, Sanctus. Amen. The Superlative Christian Books Which Have Most Influenced Me.